Ordinarily, I’m not one to make spur of the moment plans, especially when they involve significant travel (as in, more than an hour away from me). But a new sustainable sushi restaurant… how could I resist? I just had to see how a restaurant would ditch all the non-sustainable fish (No bluefin tuna! No unagi! No tako (octopus)! No ankimo (monkfish liver)!). Luckily it didn’t take too much to convince Son that we had to go to Seattle for this (we were due for a vacation anyways), so within a few days we had our plane tickets and our hotel room booked. Then, time to eat. We each got a menu that listed each of the nine courses, as well as a sheet of paper describing the sake pairings (neither Son nor I drink alcohol, so we did not partake). 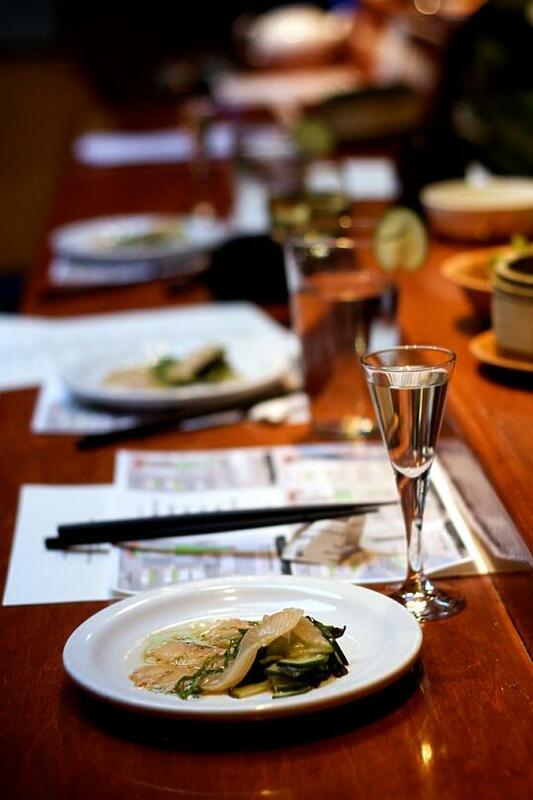 For each course, Hajime would explain what we were eating, Casson would discuss the sustainability of the seafood, and Eric Verne, the sake specialist, would talk about the sake he paired with each dish. First, oysters on the half shell. 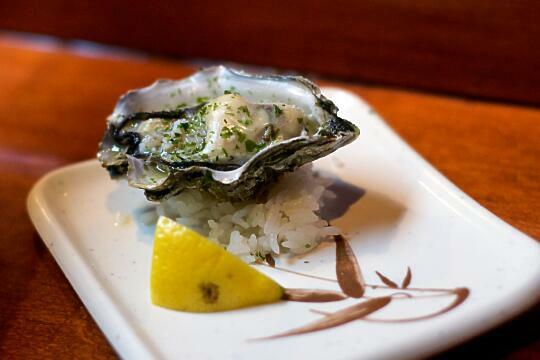 There were two oysters – a grilled small Pacific oyster with sake butter (above picture) and a kumamoto oyster with yuzu ponzu (below picture). Both were farmed in Washington state. Believe it or not… this was my first time eating oysters. Ever. The verdict? I enjoyed them both. 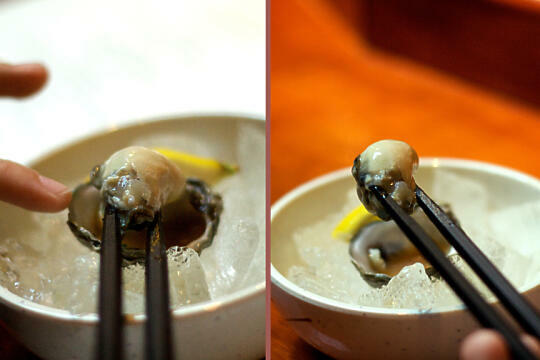 The small Pacific oyster was slightly chewy and a little fishy – a taste I’m still getting used to. (Two years ago I would barely eat fish at all, so I’m getting there.) 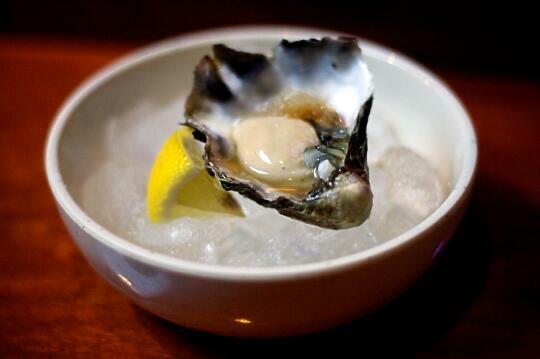 But that kumamoto oyster… I absolutely loved that one. It was quite tender, and very buttery. Delicious. The next course was rainbow trout with sunomono, ponzu shoyu, and shiso infused grapeseed oil. 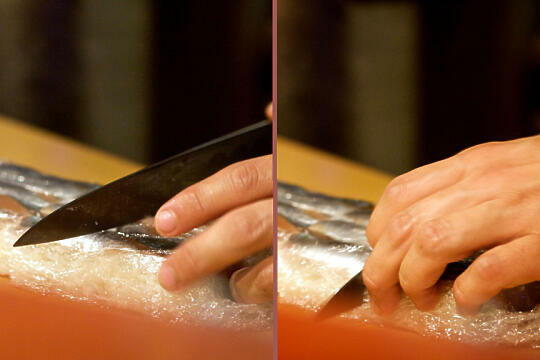 Mashiko gets the rainbow trout from Select Fish – the supplier for and owned by Whole Foods. The trout was farm raised in Idaho, in a way that produces very clean trout that is up to health and sustainability standards. Though I’m not sure whether I’ve eaten cooked rainbow trout or not, I’m absolutely certain I’ve never had rainbow trout sashimi before. But I’m positive I’ll be looking to have it again. Rich, decadent, with a flavor reminiscent of pork fat, it melted in my mouth and left me wishing I could have more. The tart sunomono accompanying it was just like the one my grandmother makes – thinly sliced cucumbers, with a slightly sour vinegar taste to them. A perfect complement to the sumptuous rainbow trout. Next, Tombo poki with roasted macadamia nuts – Hajime’s interpretation of the traditional Hawaiian fish salad. The albacore was hand line caught in Hawaii. Hajime commented that he’s been using this albacore for several years now – it’s quite delicious indeed – but somehow it hasn’t yet caught on in the sushi industry. But the really great thing about the albacore is that unlike some of the larger, more popular tunas, this is sustainable. Casson went on to explain that sustainability encompasses much more than how the fish are caught or whether they’re overfished, though that’s certainly a significant part of it. If a fish makes you sick, it is not sustainable. But so many of the larger carnivorous fish, like bluefin, yellowfin, or bigeye, have such high levels of mercury in their bodies that has built up over their lifetime – not good for us humans eating them. Albacore, on the other hand, is a small tuna… therefore has a low level of mercury in its body. I have tried poke several times in the past year – at a restaurant when we visited Hawaii last year, and a recipe that a reader emailed to me. Maybe not enough to say I know poke, but I’m not completely ignorant when it comes to poke either. The one I had in Hawaii… meh, it was alright. Not my favorite. The one I made at home… really freaking good, although a little spicy for my tastes. The one I had at Mashiko… perfect. Just enough sauce to flavor the seared albacore without being overwhelming or drowning the rest of the ingredients. A beautiful crunch from the macadamia nuts and wakame seaweed. 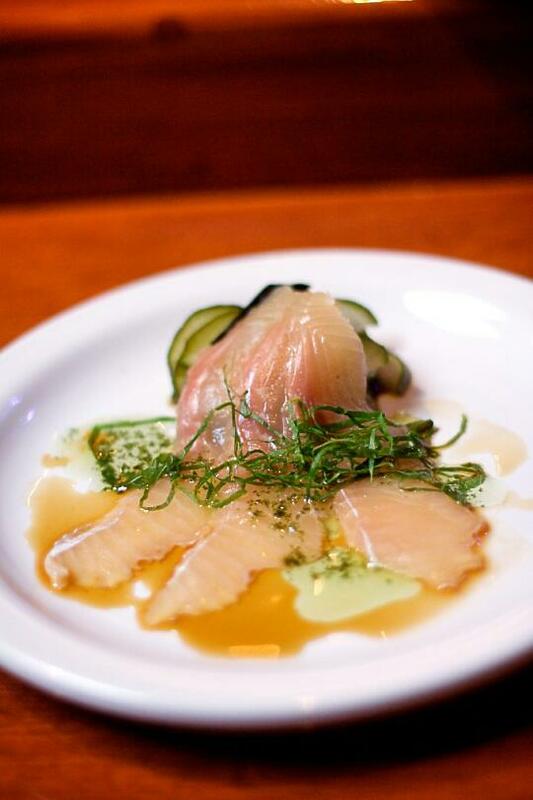 Perfectly seared albacore that simply melted in your mouth. Delicious. Absolutely delicious. The fourth course (out of nine!) 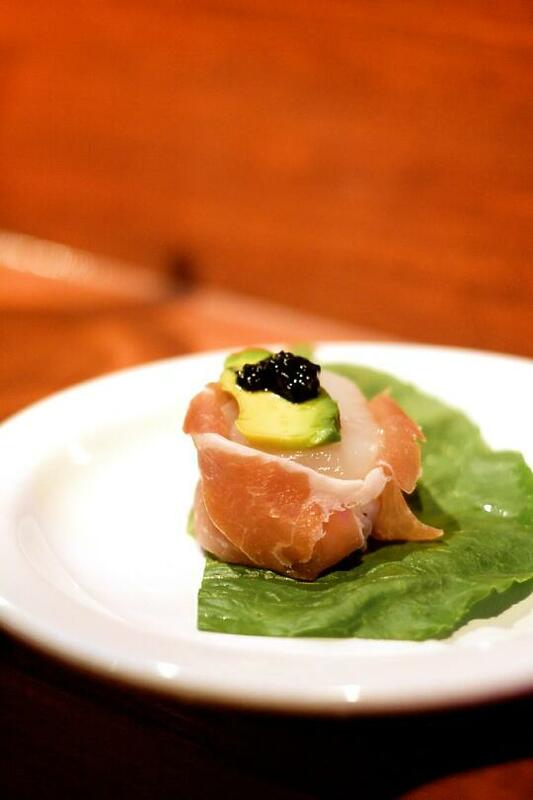 was a scallop and Dungeness crab salad wrapped in prosciutto with lumpfish caviar and avocado. 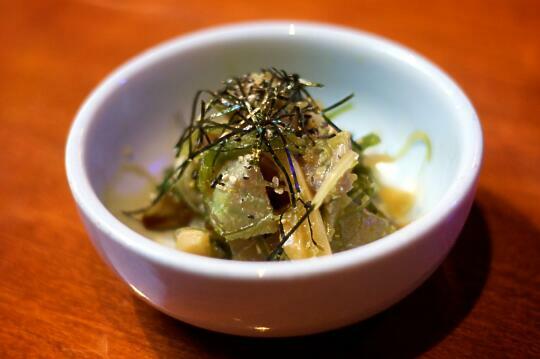 This has been a signature item at Mashiko for quite a while – and once you try it, it’s obvious why. The scallops are farm raised in Hokkaido, a northern island in Japan. The prosciutto is from Italy (I agree with what Hajime said – “I don’t even know if it’s sustainable or not, actually, but it tastes good.”) Inside is the Dungeness crab which was grown locally, with a little garlic mayo mixed in. On top is lumpfish caviar which is definitely more sustainable than beluga caviar, a more popular alternative. Then Casson took the floor, and explained how sustainability relates to seasonality. These days, so many people are trying to eat local and seasonal produce by frequenting their local farmer’s markets. So why wouldn’t you do the same for seafood? Traditionally, you can’t have every fish any time you want it – in Japan there are even holidays celebrating the arrival of certain fish. It makes so much more sense to only eat certain seafood – like the Dungeness crab – when it’s naturally available. The practice of trying to grow or import fish so they’re available year-round is a large part of why we have these sustainability issues today. Out of all nine courses, this was by far my absolute favorite. The slightly spicy Dungeness crab salad was sandwiched between two slices of creamy scallop, then wrapped in a thin slice of salty prosciutto. All the different flavors played wonderfully off of each other, topped with the smooth avocado and salty lumpfish caviar. This is one of those dishes that the moment you bite into it, you just know you’re going to have to find some way make something similar on your own… because sadly for me, Seattle is quite far away. Just thinking about it makes my mouth water. As for the dish itself… delicious, of course. By now I wouldn’t expect anything less from Hajime. The salmon was silky, with a crunch from the asparagus and the tempura. Perfectly fried, and not too oily or heavy. The soba noodles… there was something very familiar about them. Although the noodle used was different, it tasted very similar to the somen salad that my family has made for as long as I can remember. 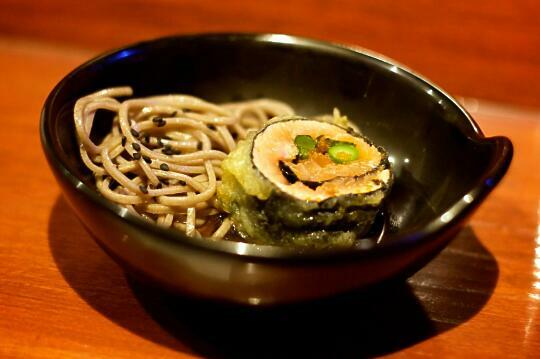 The soba noodles went very well with the salmon roll. 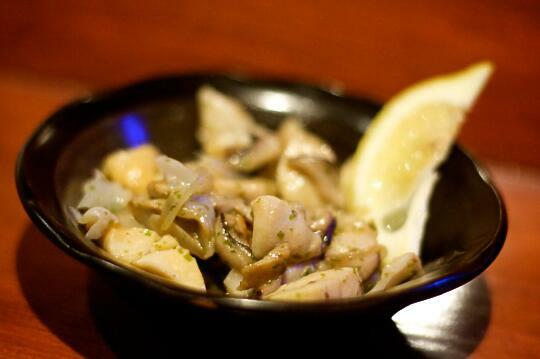 Then came the sautéed Geoduck with mushrooms, sautéed with aonori butter and bonito flakes. Geoduck is caught or dug up along the Washington coast, so something very local to Mashiko. Casson discussed “edomae” sushi – a term often taken to mean “traditional sushi”, but that actually translates to “in front of Tokyo”… meaning it’s made from the fish that came from the waters in front of Tokyo. So it’s actually silly for us to use most of the seafood that we eat in sushi here… they’re natural to Tokyo, not to Seattle or Los Angeles or cities elsewhere. It makes much more sense to use that seafood which is local – which for Seattle, includes geoduck. The other roll uses namagi as a replacement – catfish. Although I’ve never understood it (and never had a problem eating and enjoying catfish), it seems that a lot of people have a huge aversion to catfish because of the muddy flavor and the texture. And because it’s a “bottom feeder”, which some people seem to find disgusting (though really, unagi – eel – is just the same, is it not?) This catfish comes from a North Carolina-based producer called Carolina Classics Catfish. It’s farm-raised with no herbicides, hormones, or antibiotics, and the water that they grow in is managed to the point that the catfish doesn’t eat any algae or anything to give it that muddy taste people normally associate with it. Then to get the sweet sauce that gives it a taste more like unagi… in the spirit of using every part of the fish, Hajime made a stock out of the remainder of the black cod, simmered it for a week, and ended up with this very rich sauce that he used for the namagi roll. I found both rolls to be absolutely delicious, though the namagi roll pulled ahead as my favorite. The sauce on the namagi roll seemed very familiar – almost like something my mother used to make when I was younger. Although I could see how they taste similar to unagi, the replacement seemed unnecessary to me – while I do enjoy unagi and have used it quite often in my own sushi making in the past, I don’t feel a need to try to mimic it. I would rather have the fish shine on its own rather than trying to be something else, and I felt that both rolls did just that. 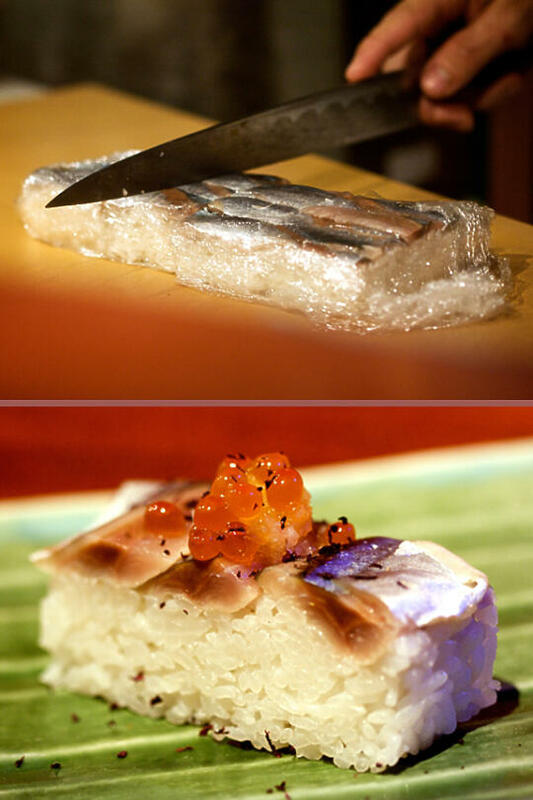 The eighth course was a sanma oshizushi topped with fresh ikura. Samna are pacific saury – a small, silver fish related to the mackerel and the sardine. The great thing about these fish is that they are small – far less mercury – and at the bottom of the food chain. It takes 25 pounds of sardines to get one pound of bluefin tuna… so Casson argues, why not just eat these and feed twenty-five times more common people, rather than feeding just a few very rich who can actually afford bluefin tuna? The small silver fish was very… fishy. It tasted much more of the sea than any of the other seafood we ate that evening. For that reason, (and yes, this is another one of those things that I’m working to learn to enjoy) I wasn’t so fond of it. But Son loved it. 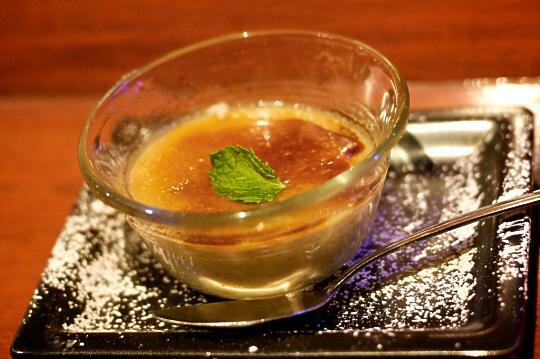 The last course was a small bowl of organic jasmine pearl crème brulée. This dessert involved no seafood, so there was no discussion of sustainability with it. It was delicious, though it did have a strong jasmine flavor – so if you’re not a fan of jasmine, it’s probably better to try a different dessert. So after that meal of only sustainable seafood, did I feel like I was missing out on anything? Not at all. In fact, that was easily among the most enjoyable sushi meals I have ever eaten. Not once did I find myself pining for bluefin tuna, or hamachi, or unagi, or any of the less sustainable sushi that you would normally find at a sushi restaurant. So what can you do if you want to be sustainable? Keep an open mind. 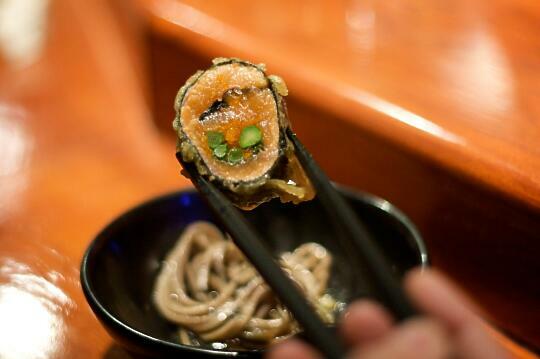 Be willing to try all sorts of new seafood that you might not normally find at a sushi bar. 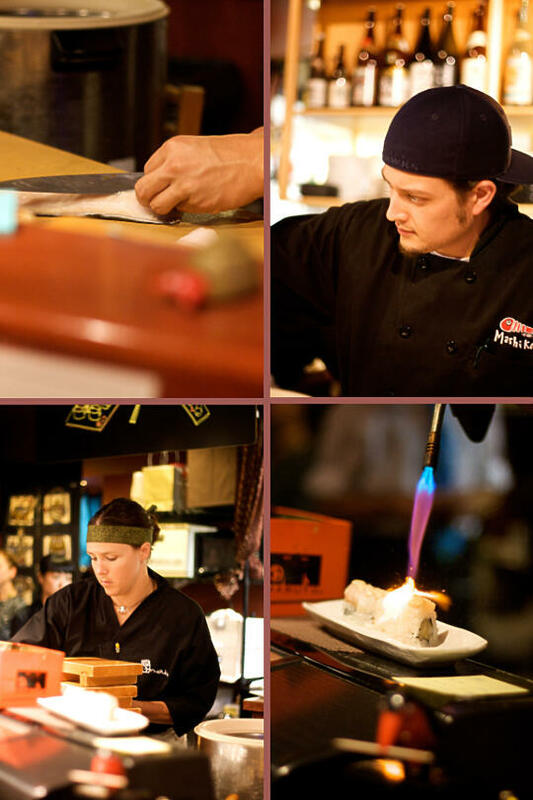 Ask your sushi chef, your fishmonger where the fish comes from, if it’s sustainable. Educate yourself and your friends about the issue. Keep these “Four S’s” in mind when you’re choosing seafood to eat: small, seasonal, silver, and shellfish. 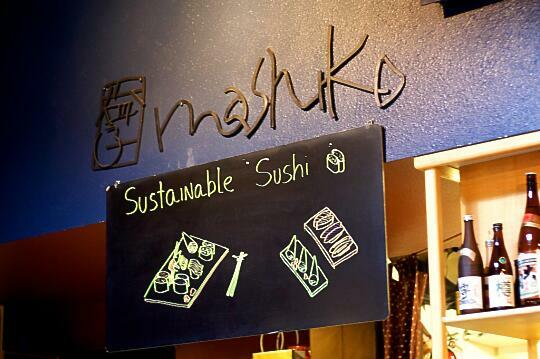 And stay tuned for my next two posts, where I have an opportunity to interview both Hajime and Casson about sustainability and the process of changing Mashiko into a sustainable sushi restaurant. 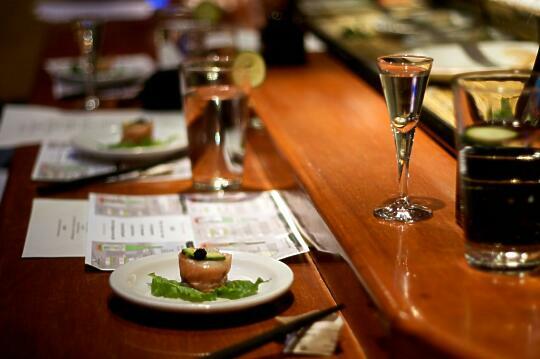 Check out Tataki in San Francisco. 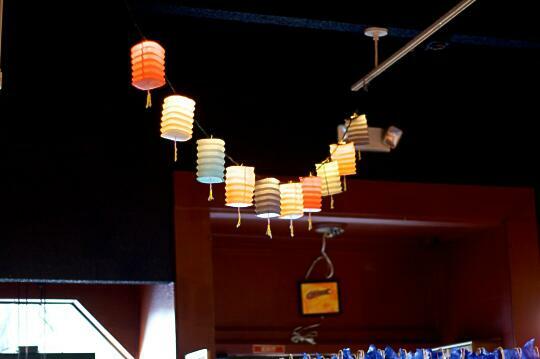 It’s a sustainable sushi restaurant as well, co-owned by Casson Trenor (the guy who invited me up to Seattle). I haven’t been there, but I definitely want to visit it whenever I’m in San Francisco next. I also wanted to say… you mentioned “idomai” as the style of sushi. But I think you mean “edomae”. Edo is the old name of Tokyo, before it became the capital. “mae” is the Japanese word for front, like you said. Excellent review. Left me with a watering mouth and a hankering for a trip to Seattle. Your point about the silliness of eating seafood not native to our area made great sense. Having lived on the North Carolina coast for a good chunk of my life it’s something I’ve sort of always done, but when I go to a sushi restaurant I don’t think of it. Now I will! OMG!!!!!! I live in Portland, Oregon and after reading your review, I am ready to go tomorrow. Questions: first – do I need reservations?. Second – I assume you were comp’ed for you dinner, so how much do you think the whole nine courses including the Saki would cost? Third – can I name drop?…..lol. I really enjoyed your writings on the Mashiko opening. And Son, great pics, good work. I wish I had had the chance to meet you two that evening. Thanks for chronicling the future of Sushi. I spend my days traveling and chasing after sustainable seafood for the Chefs that are leading the way. Looking forward to more of your writing and pics. Scott – Exactly. These days it’s almost a fad to “eat local”, but all that seems to go out the window when people eat sushi. Which, although I’m just as guilty of it as anybody, really does seem kind of silly when there are SO many varieties of delicious fish especially for those of us who live along the coast. John – Thank you so much! I would have loved to have been able to meet you, but perhaps we’ll get a chance in the future… since I’m positive Casson isn’t anywhere near finished with this movement towards worldwide sustainable sushi. I can really tell the quality of food from the picture. I thought that was you at the end of the bar (my favorite seat!) Sorry we did not meet. Looks like we have similar tastes, but my texture thing is the pate/liver/sea urchin end. 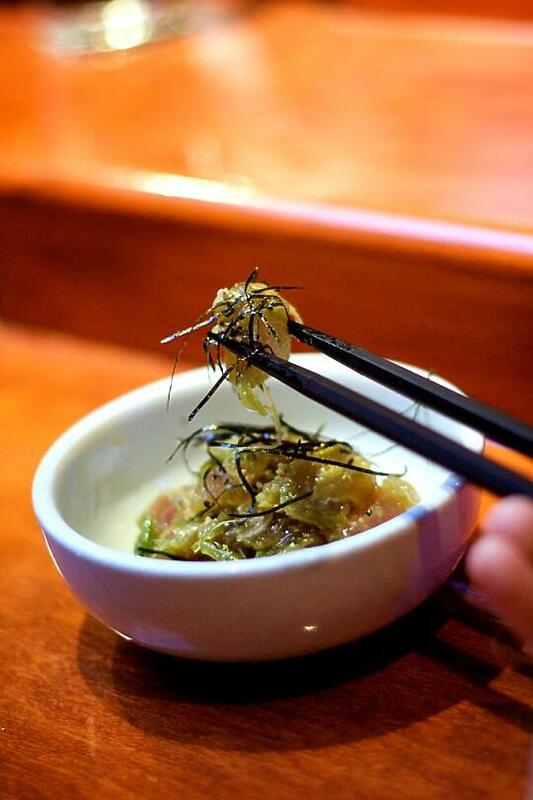 You might want to wait to try geoduck sashimi if you had trouble with that dish! Hi there, your blog is great.Beautiyful picture..what kind of camera your use?? 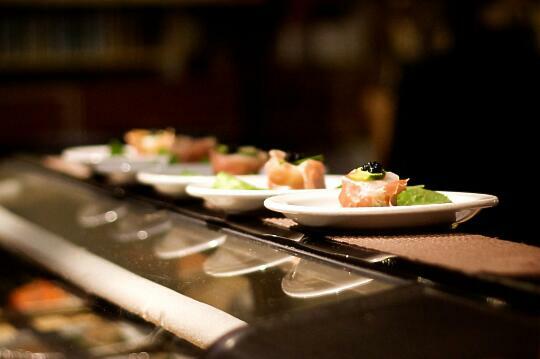 Find some related topic on my blog too http://bestchefblog.com. Can I have a link exchange?? Great post, and beautiful pics! Thanks so much for, once again, highlighting the amazing ways sustainability can be achieved without sacrificing quality… I love to see these examples of the way forward. I love this post, although I am disappointed to learn that unagi is on the list. I like to use unagi in my sushi because I can buy it frozen and it is already cooked through. I am still wary of using raw fish, although I have done it several times now with good results. That said, I’m also cheap and I’ve been experimenting with yummy, inexpensive sushi and I’ve already tried to come up with an unagi alternative. I make up a nice unagi sauce and then baste it onto a piece of white, semi-firm to firm fish (catfish works) and then grill it. I’ve used it in several of your recipes with good results. 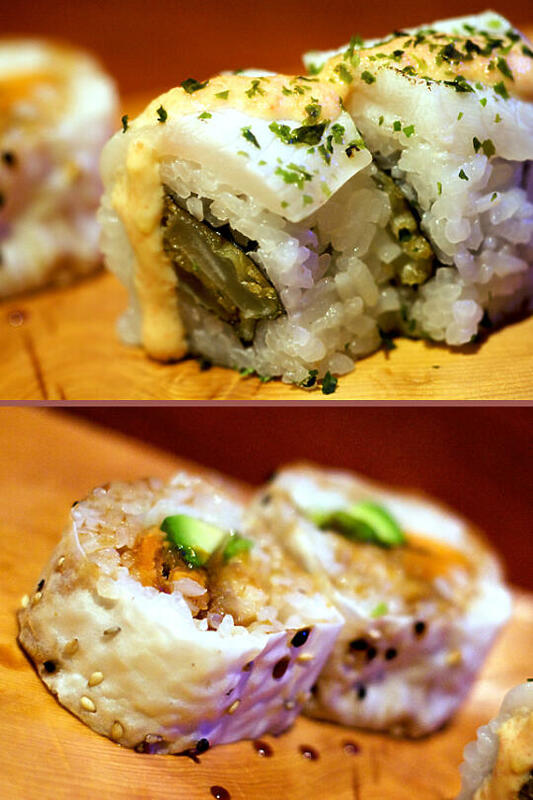 I think I could make my homemade sushi sustainable with just a few changes like this. I do have one question though – what about the imitation krab stick? Your meal seemed a bit too upscale for that one to appear on the menu, but for everyday sushi – is it sustainable? Great post! It seems the farther south you go on the west coast, the harder it is to find people excited about serving environmentally friendly food. I’m in Orange County struggling to educate people about buying local, growing a little of your own food and biking more than driving! 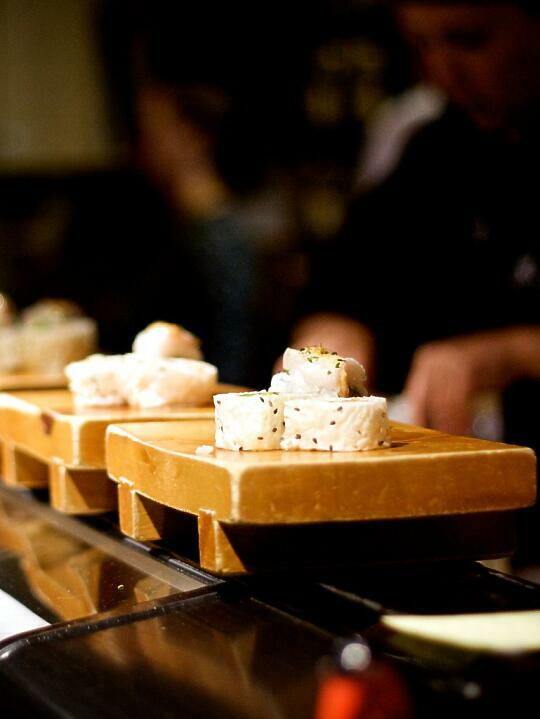 That is a beautifully written article especially on the subject of sushi! I’ll have to keep an out for this place next time I’m in Seattle. Mouthwatering! I have been wanting to go to Seattle for some time, sounds like a great sushi place to check out! I love sushi and I love seafood. Great post! Love the pictures, they make me hungry. Lumpfish caviar is an excellent alternative to pricier Caspian Sea varieties. This specialty caviar is a perfect addition to a gourmet meal used as a substitute in recipes calling for the more traditional roes. I am not a big sushi person, but I know good sushi when I see it. 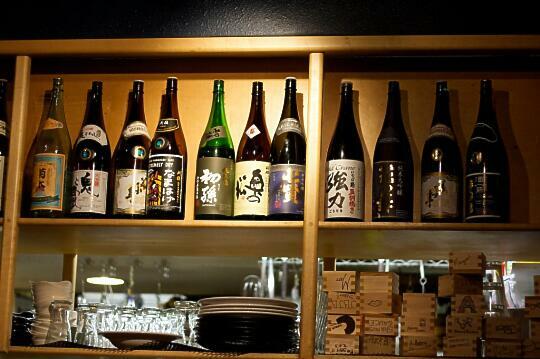 There are a lot of Japanese restaurants around town. I want to say that there are more stores than there are steakhouses which is a shock because steakhouses are really popular around here. This weekend I am supposed to go eat all you can eat sushi with some of my neighbors. I really hope the sushi is good.